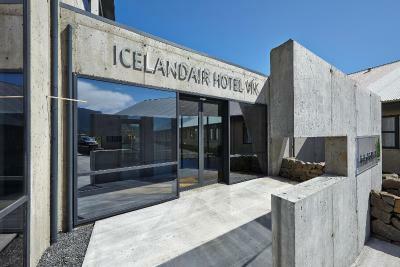 Lock in a great price for Icelandair Hotel Vík – rated 8.3 by recent guests! Right off the Ring Road so easy in-and-out. Restaurant on premises is good. Staff very helpful. Excellent staff. Super helpful. Clean room. Nice comfy bed. Nice breakfast. Good location. 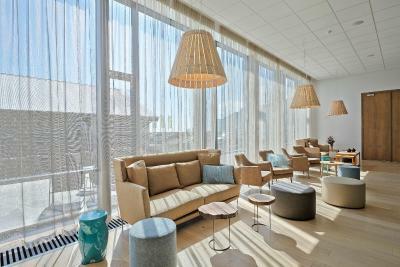 The hotel is very well located and has more or less what you expect from a hotel that size. 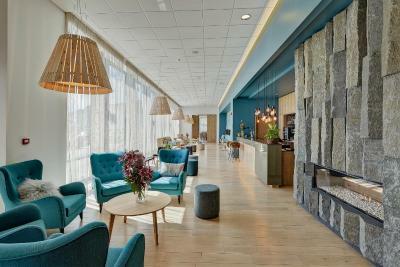 Looks very industrial on outside but lounge and lobby are attractive. Very basic room with zero interior design. 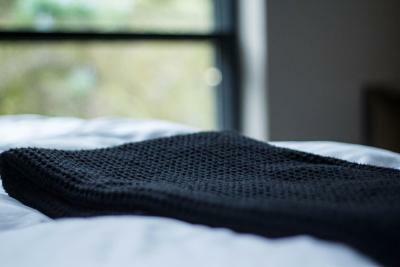 Comfortable and clean and served it’s purpose for the night. I left my phone behind and they called my daughter to tell her. We returned to get it. 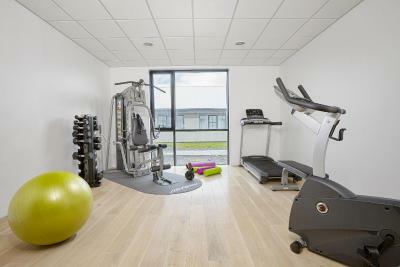 Clean, comfortable, good value for the money, the staff were helpful & knowledgeable about the area. 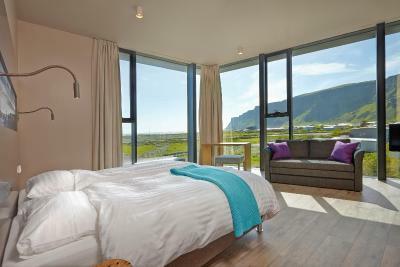 Beautiful room, the sea view was more than worth it. Location, location, location. Right across the street from the beach and gas station and grocery store and a couple of restaurants. Everything was close within reach and it was very convenient. 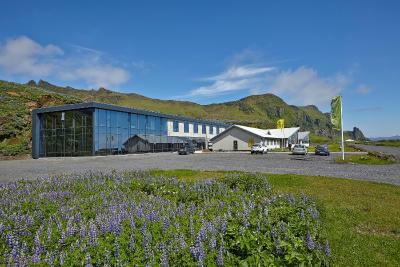 Icelandair Hotel Vík This rating is a reflection of how the property compares to the industry standard when it comes to price, facilities and services available. It's based on a self-evaluation by the property. Use this rating to help choose your stay! 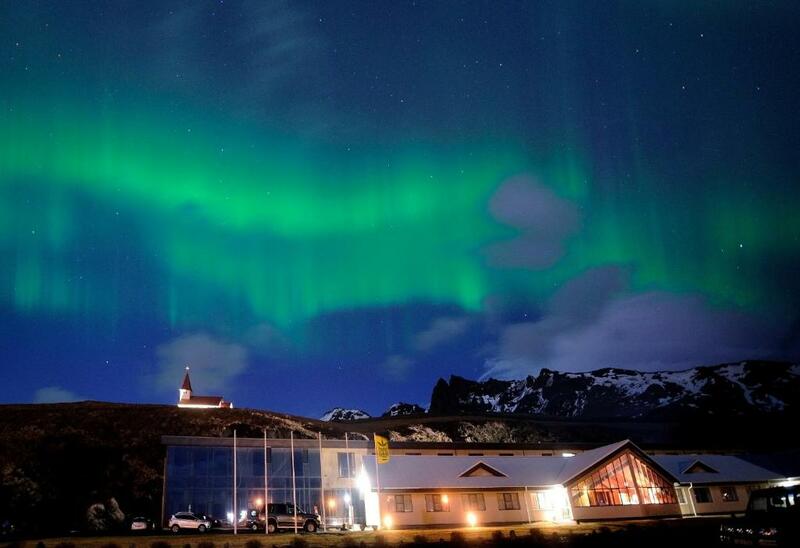 With views of the Reynisdrangar sea stacks, this Icelandair Hotel Vík hotel is just 900 feet off southern Iceland’s Ring Road. 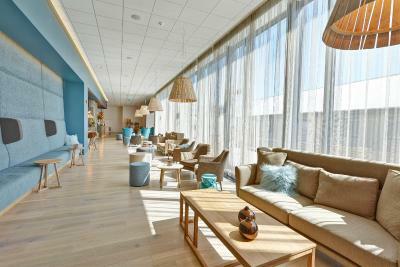 It offers free WiFi, a bar, as well as bright, modern rooms. 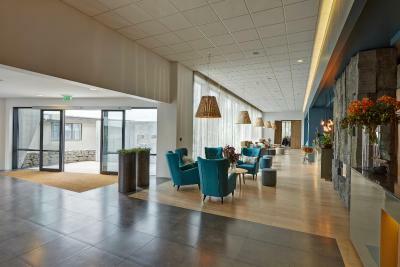 Tea/coffee facilities, a flat-screen satellite TV and seating area are provided in all Icelandair Hotel Vík's rooms. 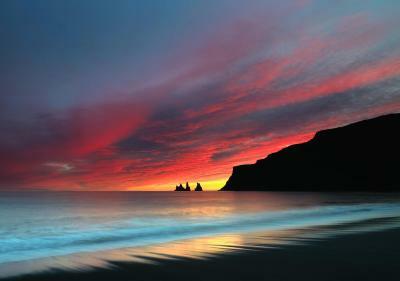 Some feature views of the sea, the cliffs or Reynisdrangar sea stacks. 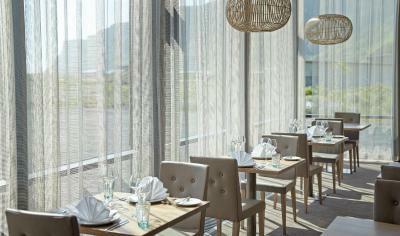 A daily breakfast buffet is available at Icelandair Hotel Vík. Staff arranges on-site horse rental and glacier tours. 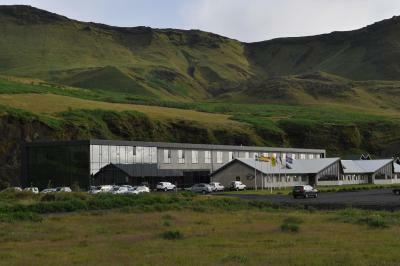 Dyrhólaey Peninsula is 12 mi away, while Skógafoss Waterfall is 21 mi from the hotel. 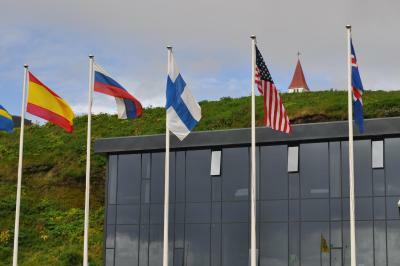 Other area activities include golfing, hiking and bird watching. 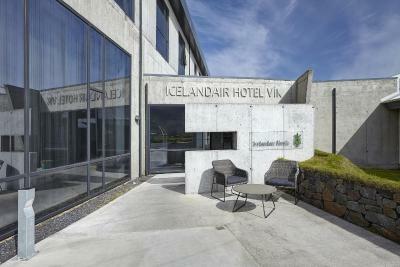 When would you like to stay at Icelandair Hotel Vík? 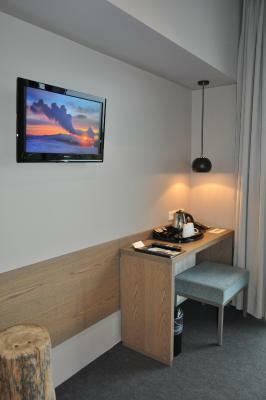 Bright modern room that includes a flat-screen satellite TV, tea/coffee facilities and seating area. 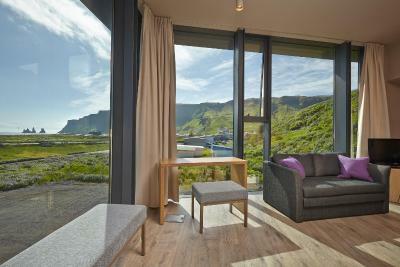 Spacious, modern room that features a view over the Reynisdrangar sea stacks. 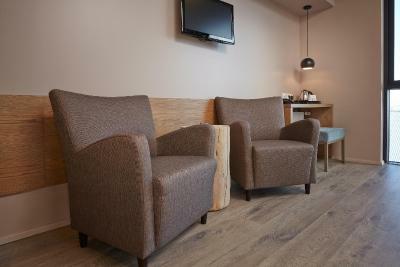 Also has a flat-screen satellite TV, tea/coffee facilities and seating area. 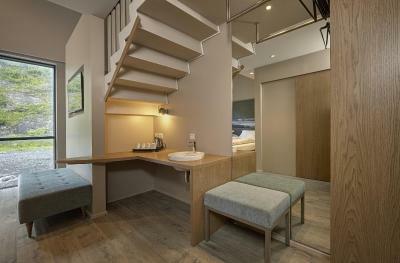 Featuring a large floor-to-ceiling window, this triple room features a electric kettle, seating area and satellite TV. 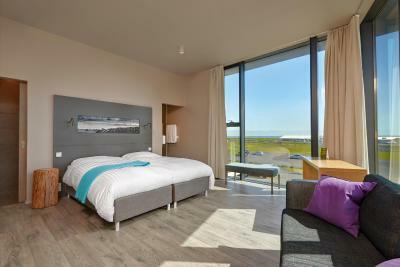 Overlooking the sea, this room features modern Icelandic design. Room facilities include a flat-screen TV, tea/coffee facilities and a bathroom with shower, hairdryer and toiletries from Soley Organics. Located in the old hotel wing, this twin room features a electric kettle. 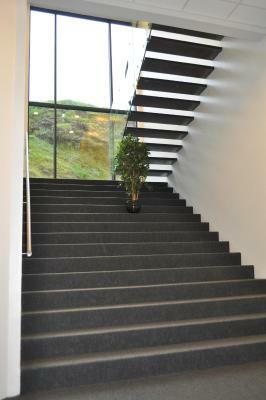 House Rules Icelandair Hotel Vík takes special requests – add in the next step! 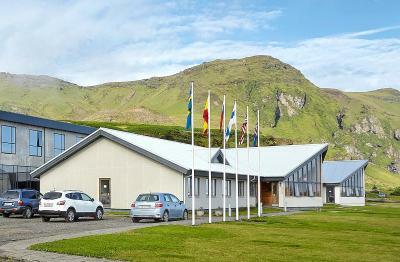 Icelandair Hotel Vík accepts these cards and reserves the right to temporarily hold an amount prior to arrival. 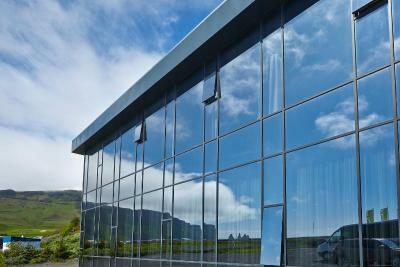 If you expect to arrive outside check-in hours, please inform Icelandair Hotel Vík in advance. 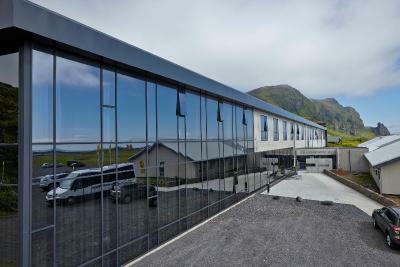 Please inform Icelandair Hotel Vík of your expected arrival time in advance. You can use the Special Requests box when booking, or contact the property directly using the contact details in your confirmation. Staff brilliant, clean rooms, dinner was scrumptious. The walls between rooms are thin. We heard our neighbors talking and getting ready both at night and this morning. There was sulfur smell in the room when we first walked in. The fan in the bathroom was not working last night, and it suddenly turned on this morning. The night light was not working on one side of the bed. Staff are very friendly. Breakfast is great. Feedback to the receptionist that the heater is not warm at all on the first night. After that none of them follow up my case. Talk to another receptionist, he was trying to bluff me and asked me to monitor few hours. Then, he offered me heater and asked me go to reception counter to collect the heater from him. Why could he asked customer to collect the heater from him instead of he sends over the heater? It’s ridiculous! It’s fine, I followed him go to counter and then he told me they only have 1 heater which already broken. It is wasting my time. End up he offered me another room. The shower gel is empty during first night. I thought maybe the housekeeper forgot to refill the shower gel. That’s fine. Waited for 2nd day, Housekeeping has been done and the shower gel is still empty. Do their housekeeper has SOP? It’s really dissapointed. We booked 7 rooms and most of us felt that the staffs of the hotel were not very friendly. The good brand of shampoo and body wash. One of the staff clearly explained the detail for our stay. 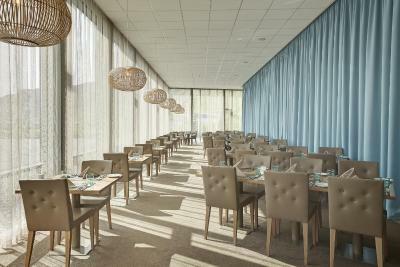 The common area where you can sit and eat the foods which are bought from the hotel. 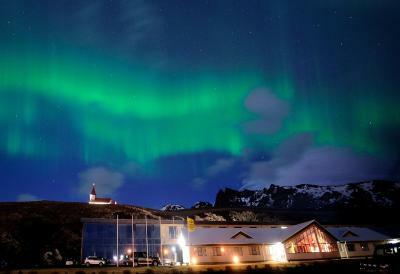 The room is smaller than other Icelandair hotels, but this is not a problem. 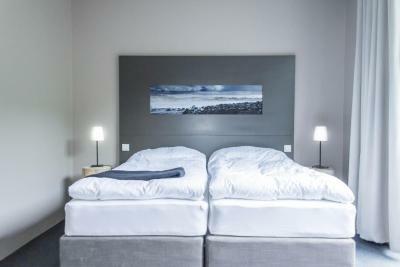 The bed is too soft as well as all the beds in Iceland. 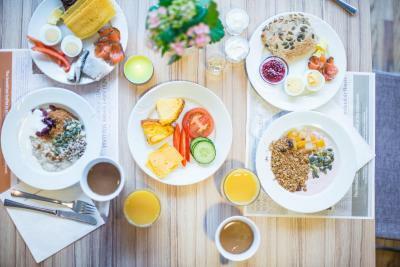 The best breakfast from the Icelandair hotels I stayed. Restaurant is good, staff is kind. nice hotel in a wrong location. We booked the cheapest room and got an upgrade for one of the most expensive rooms in the hotel. that was really nice. 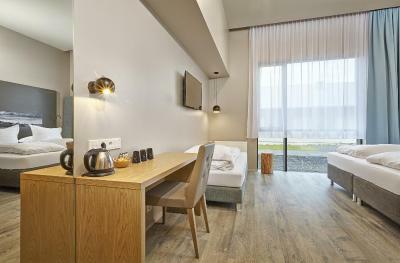 The room was super clean and well maintained, however, we have to say that the room the few hundred euros the night is not worth it, as the view shows directly the hotel parking and roof of the old hotel, which is in the foreground of the new building. the staff is very accommodating and nice. 1. Some staff were less friendly than others. 2. 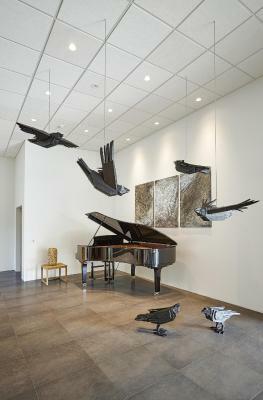 The wooden eagles hanging at eye level in the lobby contain sharp edges. They are a safety threat and should be lifted to a higher height. 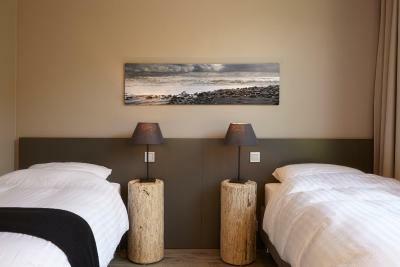 Spacious room with fantastic view of the sea and the signature stones of the black beach. High quality equipment in the room. 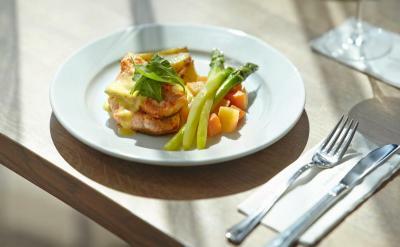 A rich selection in the breakfast. Nice and cosy bar with typical Icelandic spirits. Slippery floor in shower. We had to be careful in the shower when the floor was wet. Staff were excellent, the hotel was comfortable. Good position for travelling around Iceland before driving back to Reykjavik. Great stay. Very beautiful and clean hotel. Breakfast excellent, especially the make your own waffles!! Good views and helpful staff.